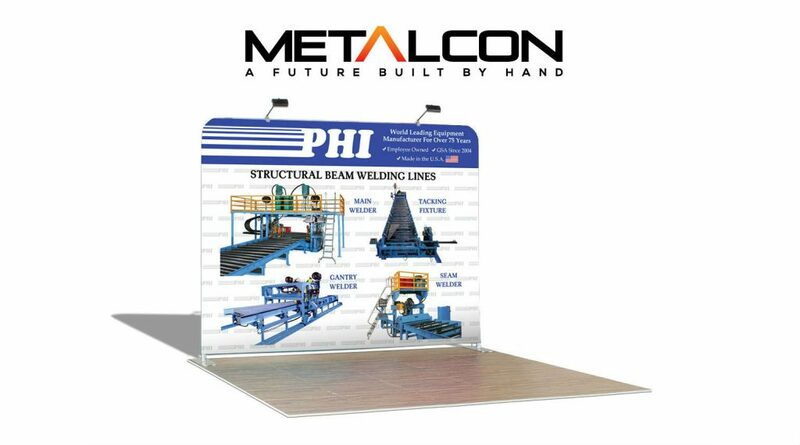 PHI was a featured exhibitor at the recent METALCON 2016 held October 26-28 in Baltimore, Maryland. Metalcon is a niche market tradeshow catering to metal design and construction professionals seeking innovations, sustainable, eco-friendly, energy efficient, solar, retrofit, and green technology products and education. Thank you for your interest in PHI. We look forward to meeting with you, our current and future customers. Please visit us in Booth 2139 and allow us to discuss your applications and offer solutions. PHI has been acknowledged as the leader in engineering and manufacturing of Automatic Beam Welding Systems for more than fifty years – First as Conrac and now as PHI. PHI provides turnkey systems per customer specifications. 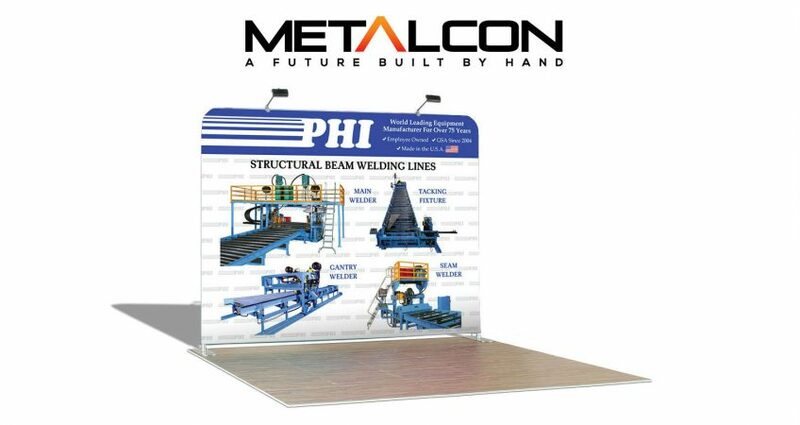 Whether Horizontal or Vertical Welding Lines, Gantry Systems, Material Handling Systems, specific equipment (Pull-Thru Welder, Seam Welder, Tacking Fixture, Flange Tilting or Beam Turning Devices), PHI will provide the solutions to match and exceed your requirements, period.